You know how everyone’s trying to figure out what their purpose in life is? It’s like this exhausting quest we’ve decided to go on because we hear about how we “need a purpose” and that finding your purpose automatically means your life will make sense. I’ve been through many stages of thinking I know what my purpose is only to have it change a few months later. I guess the problem of being multi-passionate is that it’s really hard to pick just one thing, but that alone tells me that my purpose isn’t necessarily a fixed path. These days, I have a pretty solid idea of my current purpose: to help others feel more content with their lives. I’ve figured out that I can do this through my writing and one-on-one coaching. I already love blogging so much, and I feel that this blog has become such a huge part of my life and somehow I’ve managed to help others through my writing. I’m also in graduate school right now to get my degree in health coaching so that I can make the second part a reality next year. So what’s the big deal, Catherine? Seems like you’ve got it all figured out. The problem is that I know where I’m headed, but it seems so far off in the distance. The huge elephant in the room is that I still need to make a living. I think there’s this misconception that once you figure out your purpose, you’ll be set in the money department and making millions of dollars because you’re doing what you’re passionate about. 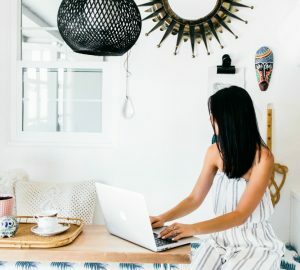 As a blogger, I make a little bit here and there from sponsored posts and affiliate links, but it’s nowhere near to what I make at my current 9-5 job. I know there are plenty of other ways that I could make money from blogging, but finding the time and energy to do it is a challenge. I also know that I’ll be able to make an income through coaching, but that can’t realistically happen until I’m certified next year. Sometimes I think I should quit my job so that I’m forced to find a way to make money through my passions. At the same time, I really really really value the feeling of being secure. The thought of not having a stable paycheck freaks me out. What do you do once you’ve figured out your purpose? If I want to make a living through writing and coaching and being my own boss, lots of things need to happen before that becomes a reality. My main struggle is that I know what needs to happen, but having the patience and energy to get things done is hard. Sometimes I have to remind myself that I decided to go through with all of this. 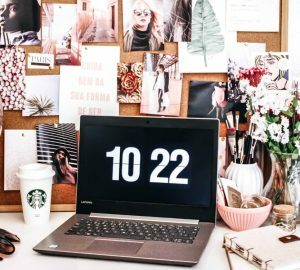 I made myself this busy by committing to a full-time job, graduate school, and blogging. And I do know that it will be worth it ultimately, but oh man, dealing with it in the moment is rough. 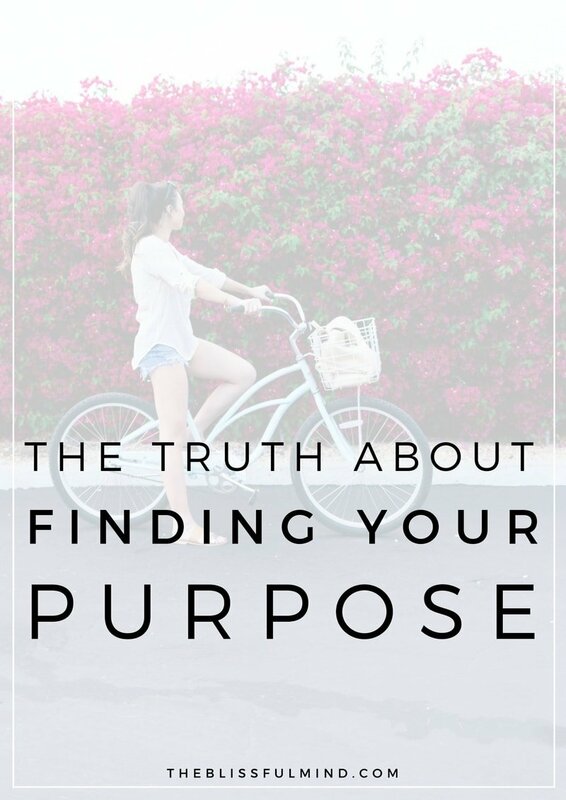 Everyone talks about finding your purpose, but what do you do once you’ve found it? This whole ‘purpose’ thing is not a walk in the park, and I think it’s worth mentioning because it’s often overlooked. Figuring out your purpose is simply not going to be the answer to all of your problems. Part of me doesn’t even believe in defining a purpose for myself anymore, but rather sticking with what I’m passionate about and not overthinking it. Ultimately what drives me is the idea that I can make a difference in other people’s lives. Whether I get paid or not, helping others is fulfilling to me. Making a living from doing what I love is just the icing on the cake, and I believe that it will be a reality in the next year or so. Even though I’m struggling, I am not going to give up. I don’t believe in sitting around and waiting for opportunities to just turn up out of nowhere, which is why I’m continuing to push through all of this. I am confident in myself and this journey, and I believe that it’s all going to be worth it. Where there’s a will, there’s a way, right? I’m an optimist at heart, and when the exhaustion takes over, I know that I can revisit my vision and know that I’m getting closer to where I want to be. This post has probably been a little less positive than others on my blog, but I wanted to share what I’m going through in case anyone else is too. I think it’s important to shed light on our struggles and share our coping methods with others. Plus, I always want to keep it real with you guys because that’s just who I am. My big question right now is how do you go about making your purpose a reality once you’ve found it? Or, more specifically, how do you have the patience, time, and energy to make it a reality? Is this purpose thing all it’s cracked up to be? Leave a comment below! I love everything you wrote here. I’ve been through the same process over the last couple of years, and I still don’t really have an answer. If anything, I think it doesn’t necessarily get easier once we find our purpose, it just becomes somewhat different – we go from trying to find what it is that we feel called to do, to actually trying to make it happen – which in some ways I think is harder. The part that I find to be a bit different is that when we’re looking for our purpose, we’re looking for that thing that will add meaning to life, to what we do, and how we spend our days, but once we’ve found it, the meaning is there and becomes the light at the end of the tunnel that keeps us going even on the bad days. In terms of having the patience, time, and energy to make things happen, I’m currently learning that it’s all about making the right choices that will help us move forward (which I know very well how hard it is amongst all the noise that is online these days), and for me that’s meant focusing on my work first and foremost, before looking around at what others are doing – and when I do look around, look to people who inspire and encourage me to find my own way rather than give me a set of steps that I “must” do if I want to make progress. 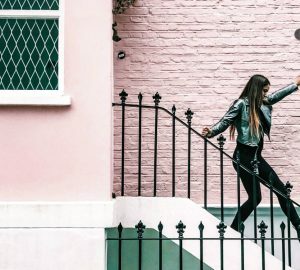 One of these inspiring people for me has been Jen Carrington – her blog posts constantly help build me up, and give me more confidence and clarity, rather than point to all the things I’m not doing (right). With all this said, I wish you all the best in your journey towards your purpose, I know so well how it feels – I’m still in the midst of it too and just reading through this post and especially that last question about the “patience, time and energy to make it a reality”, I can feel your pain. As much as I’ve wished for one, there is no shortcut to “getting there”, but I hope you know that you’re taking all the right steps, which are already putting you so far ahead of most other people. Thank you so much for your lovely post and thoughtful words, Ana! It’s so reassuring to hear that other people are in the same boat. I can completely relate to this post! I often find it hard to focus on one thing because I have so many interests. Thanks for sharing! I spent a long time struggling with my purpose, trying on lots of different hats as like yourself I’m multi passionate. The funny thing is the more I tried to find my purpose, the further away from it I got. It was when I stopped searching and just did what made me happy that I returned naturally to the thing I’d been doing my whole life, ever since I was five years old – Comforting and Inspiring people through my writing both fictional and non fictional. You are right that there is way too much focus put on purpose. It implies that you can’t be happy unless you devote your life 24/7 to it when, while its a needed part of your life, being human beings we are so much more than just our purpose. Really love this post, thank you for writing it. Hi Catherine, Thanks for your post. I spent many years focusing on my career with the intention of making a good living, being “successful” (defined mostly as progressing as far as I could in my career), and feeling like I was contributing to something. I was quite unfulfilled most of the time, and didn’t feel like I was doing something important for humanity. I could have chosen a different path (I was in marketing for both large and small companies), but I really didn’t have the foresight to do that. Society teaches us to get a good education, put our resumes out there, and see where we can put our talents and skills to work. When I was in school we weren’t taught that we might have a passion we can try to find. I was always good at a wide variety of things, so the tests that help you find your focus weren’t very helpful for me. Through the years, I discovered, like Sophie below, that I love writing more than anything. Unfortunately, throughout my education, I made a conscious decision not to focus on that talent. I didn’t want my writing to become a burden–something I had to do. I knew in elementary school that I loved to write. But now I’ve made it everything. Some people seem to find their passion from the start, while others take a very long time to uncover it. Some never do. I think if a person finds their passion and focuses on developing it, they will be more fulfilled than someone who doesn’t. And although they may or may not become wealthy as a result, they will find great pleasure in life. I think anything that gets too popular that we see everywhere can seem “too much.” It can feel like a fad and that can be a turnoff. Maybe that’s where we are with the concept of finding your passion at this point. Wouldn’t the world be so much better if we didn’t have to be concerned about money? I loved reading about your story! And I’m so glad that you made writing your everything. If only we focused on what truly made us joy more frequently! I love this! I’ve always said that no matter how lucky someone might seem, everyone has their own problems. And everyone’s try to find or make their path/purpose. Such a beautiful post, Catherine! It was so interesting to read your perspective on purpose and I can relate to what you’re saying in so many ways. I love how Elizabeth Gilbert puts it: let curiosity guide you. I find it’s a more “light hearted” way to live life without the pressure of knowing what our purpose is. As a fellow multi-passionate, I prefer the idea of pursuing whatever I’m curious about and hopefully, it will take me to something bigger. This is powerful, Catherine. Thank you so much for sharing – always love coming to your blog for refreshing perspective! Thank you for sharing this. I have found my purpose and am working towards it but sometimes feel discouraged that it seems to be so far in the future. It’s good to hear of other people “living the dream” but it is also so encouraging to know that there are other people who are working towards that goal but haven’t quite gotten there… the same as me! I discovered your blog tonight while researching a good inspirational quote for my bullet journal and I love everything you have to say. This post resonated so much as I haven’t written a blog in months, even though I loved it! It took too much time to make it worth while, especially with 2 year old twins at home! Can’t wait to use your tips and get the motivation to help me kickstart my “relaunch” goals. Xoxo! Love this. I feel like I’m getting closer to my purpose, but it’s easy for me to defeat myself before I even really get to the question you ask in this post. Or maybe it’s that I don’t have the answer to this question that keeps me going back to square one and questioning myself in the first place? Also, “sticking with what I’m passionate about and not overthinking it” <–SO great. Thanks for this post! It was a really interesting psot to read! I have been searching for my purpose several years ago, at this time, i thought purpose = passionate job but as long as i grow, i discoevred our purpose doesn’t have to be related to a job, a passion but rather to a message. What your message is? Mine is “believing in your dreams” so i’m realizing mine and also inspire others to realize theirs not only thought my job but also with what i share with others, personal projects, in my communication, etc. I wish you a wonderful journey <3. You make such a good point!! Purpose doesn’t have to be related to a job. Although I think if you are able to figure out your purpose, you can probably later find a way to make money from it! I feel your pain. It might help take some of the pressure off to think about the reason there’s so much emphasis on finding your purpose. There are a variety of reasons. We’re trained in certain disciplines to qualify for certain jobs. But when we choose the discipline we want to follow, we don’t have all the information we need to make a good decision. Also, college programs aren’t aligned with the needs of the real world. Only 1/3 to 1/2 of college grads take jobs in their field. When we get jobs, we often take them for reasons that aren’t the greatest. The result is a lot of dissatisfaction in the workplace. Some people go after jobs where they can earn the most money. Those jobs tend to come with the most stress and the least job satisfaction. Forbes Magazine recently reported a study that found 52% of Americans are unhappy at work. 59% of workers said that what can make them happiest with work is their interest level in the job. Basically, we have a crisis in the workplace, so all the information related to finding your purpose is aimed at trying to improve this situation. The intent isn’t to create stress in those of us who haven’t found our purpose. Hopefully looking at it from this perspective can remove some of the pressure from us. Some lucky people know their purpose from the start. I’ve always been envious of them. Others never really find what they’re meant to do. If we can get excited about what we do, it makes sense that we will be happier with our work or with whatever we do with our lives if we’re not working. We can ease our way into “finding ourselves” over time, and focus on enjoying the journey rather than fretting over the goal. We never know where we’ll be in 5 years. A lot of great things can happen. In the meantime, we can focus on learning to be happy with other aspects of our daily lives. Maybe we find reward in making a lot of money. Maybe we can enjoy the company of other people we work with. The same study found that 61% of people are happiest at work because of the people they work with. I have a friend who had a great perspective that I always remembered. He would say that working for the Fortune 100 company that employed him was what he did in his spare time. Thank you for this! It’s so true that college programs don’t prepare us for the real world. I learned more about the real world from simply being in college (the ups and downs, prioritizing and balancing time, keeping up relationships) than from the classes I was in. Also love the quote your friend said. Such an interesting way to look at it! I totally know you mean girl! I the past few months I’ve had time to really think about where I see my life going (as a result of a redundancy). I was unemployed for 3 months and while I had all the time in the world to work on the blog, I still found it a challenge to get the energy to monetize it. I think it’s important to keep a day job until you’re able to make a fulltime living by having your own business. The stress of not having any income for a long period of time isn’t worth it. Having said that, I realize now that break from having a day job to actually take the time to think about what my purpose is and what I’m passionate about doing. It was hard not having a lot of money to spend for that time period but it gave me a clarity I haven’t had before.